Antoine Arminjon advises medium-sized and large companies on both transactional and contentious matters, in particular in the fields of commercial, distribution and corporate law. A major part of Antoine’s practice involves the negotiation and drafting of contracts (representation, distribution, cooperation and subcontracting, partnerships and joint-ventures, industrial technology transfers) and providing assistance with their amendment and/or termination in both a litigious and non-litigious context. Antoine also advises on the drafting of shareholders agreements and business asset/share transfer agreements, and on setting up commercial corporations. 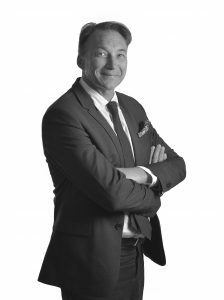 Antoine started his career in 1984 with the Parisian law firm Baudel, Salès, Vincent & Georges. After two years in the law firm of Mr. Soulier in Lyon (in the area of commercial litigation), he joined BIGNON LEBRAY in 1991 to open the firm’s office in Lyon.